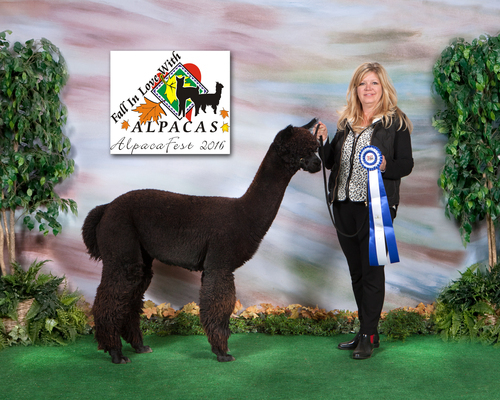 Outlander's 1st cria true black female! 7 Time Halter Champion in True Black! 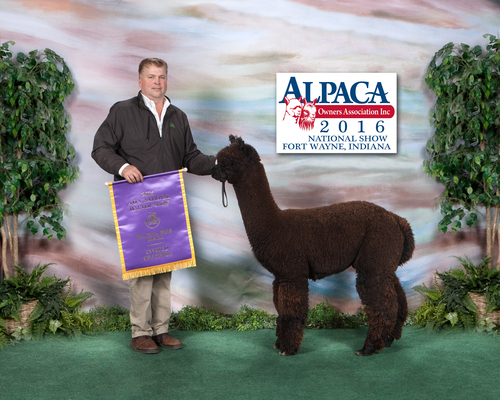 Outlander is sired by the Futurity Dark Herdsire of the year for 2017 the famous Avalon's Jacob Black! 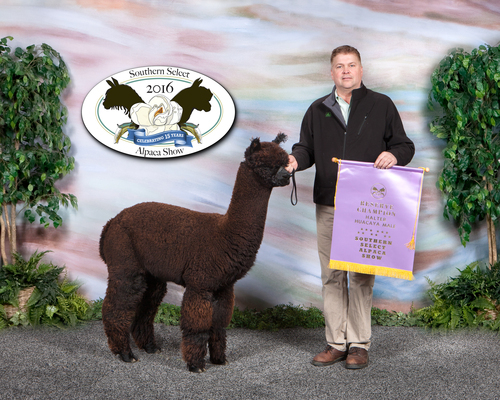 Outlander is the 2016 Invited National Color Champion. 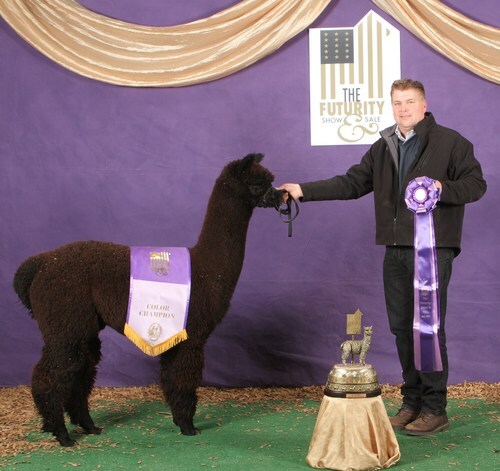 He takes after his sire, Avalon's Jacob Black, 19 Time Halter Champion in True Black and took the 2015 & 2016 Dark Reserve Herdsire at the Futurity! 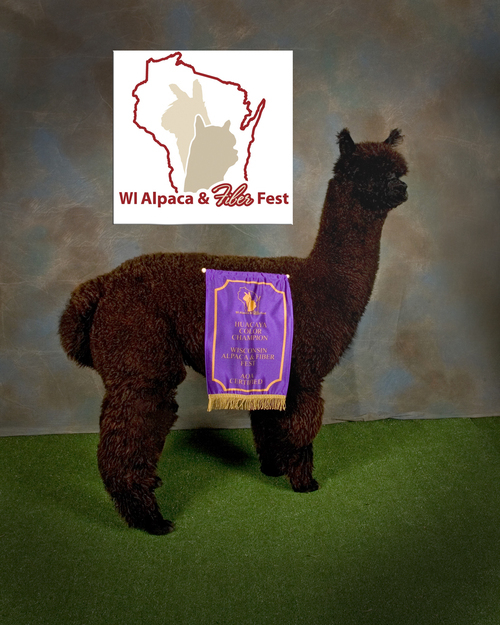 Outlander has great conformation, handsome head, beautiful fleece, and a gentle personality. As you can see he is the spitting image of his sire that has produced multiple champions. 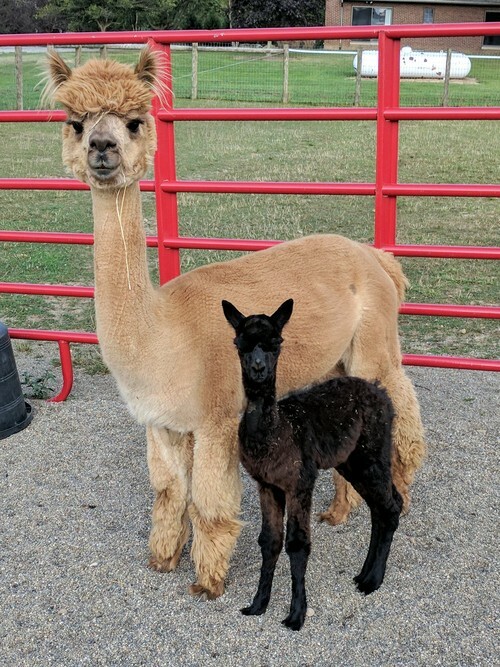 Outlander has six confirmed pregnancies to our girls on our farms with the first cria due in August of 2017 and has done well with his first outside breedings. Jacob Black is not available to outside breedings so if you would like some of his genetics Outlander stands at the top of Jacob's champion winning offspring. Outlander's full sister was the top selling female at the 2017 Priority Auction. 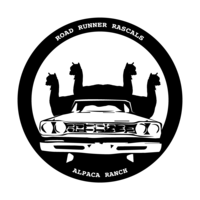 We are offering 10 outside breedings for $2,500 once those are sold his datebook will be closed.